We’re excited to have been chosen by the team at Docker to be included as a launch partner in the brand new Docker Store. Although it is still in limited beta, we wanted to share a bit on why we’re enthusiastic about the new Store and Docker as a platform for distribution and operations. 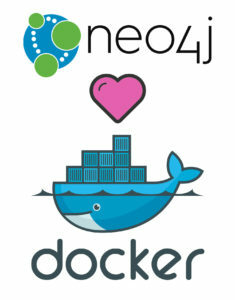 Our Developer Relations team launched the Community Edition Neo4j Docker image in beta a little less than a year ago. After months of iterating based on the feedback from the community, our Engineering team launched the Official Repo, with support for both Community Edition and Enterprise Edition, including full cluster and high availability (HA) capabilities. We’ve been overwhelmed by the positive feedback from the community. 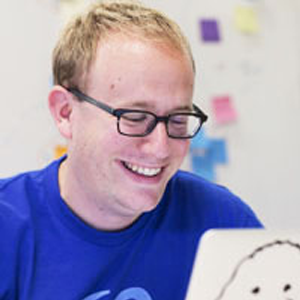 Developers at a wide variety of organizations have used the image, and we have over 1M+ pulls from the Docker repo. Just 3 minutes to install, configure, and run @docker and a @neo4j 3.0 image. Wow! We even built the Graph Your Network application, scaling from a handful to hundreds of simultaneous Docker containers running Neo4j. This application allows users to load their Twitter activity into Neo4j and analyze it with the Cypher query language. If you’re just looking to evaluate Neo4j, our 7-day Sandbox uses a similar architecture. We’re excited about the Docker Store as it means great things for Docker users – you’ll see Neo4j among other high-quality images, and have the ability to rate and review these images as well as provide feedback to the vendors. Perhaps most importantly, we’ll have the ability to push out new releases to you much faster through an automated publication workflow! Let us know what you end up doing with the Neo4j Docker image by mentioning #Docker and #Neo4j in your tweets! Love Docker but need to sharpen your skills with Neo4j? Click below to get your free copy of the Learning Neo4j ebook and catch up to speed with the world’s leading graph database.